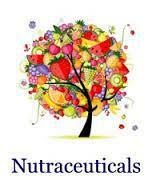 The word nutraceuticals is a marriage of the words nutrition and pharmaceuticals. It is often used to describe dietary supplements derived from natural substances that are believed to be beneficial to the body, or that supply the body with essential fatty acids, proteins or nutrients. 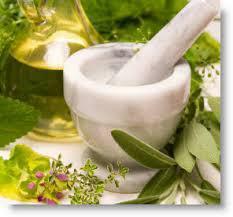 For example, various compounds of Omega-3’s are prescribed for health and wellness. They work to improve the overall appearance of the skin, help eliminate menopausal symptoms, combat musculoskeletal problems and reduce cholesterol. But, buyer beware! 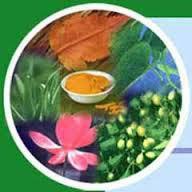 All nutraceuticals are not alike! 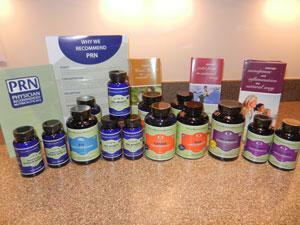 Many on the market today are made with inferior ingredients that the body cannot absorb effectively. At Professional Aesthetics and Wellness Center we offer physician-grade, alcohol-free supplements that are molecularly distilled in a sterile, licensed facility. Our high-quality, pharmaceutical grade supplements are efficiently absorbed and completely utilized by our patients’ bodies. Below are examples of the supplements we carry, each carefully chosen from the manufacturers we have researched to be of high quality. Iodine Complex aids in natural hormone production and balance. Iodine is critical to the production of thyroid hormone. Iodine deficiency may play a role in a myriad of problems, including mental retardation, lower IQ, attention deficit hyperactivity disorder (ADHD) and thyroid problems. It is speculated that this deficiency may be one of the causes of the dramatic increase in breast and prostate cancers. Iodine is crucial to the treatment of these cancers. Probiotics- are live microorganisms that are either the same as or similar to those found in the human body. Although we tend to think of bacteria as harmful "germs," many bacteria actually help the body function properly. Probiotics aide a variety of gastrointestinal issues such as immune support. Probiotics are also used for preventing tooth decay and other oral health problems. Co Cardio Omega w/vitamin D3 for men supports a healthy heart. Cardio Omega Benefits® provides an equal ratio of the heart-healthy Omega-3 essential fatty acids (EPA and DHA). Third party tested for over 400 contaminants. Our unique molecular distillation process guarantees the removal of significantly more PCBs (known carcinogens) than non-molecularly distilled omega-3 products commonly found over the counter. Wo Women's Omega w/Vitamin D3- Women's Omega Benefits® is custom formulated with a high concentration of the Omega-3s, EPA (eicosapentaenoic acid) and DHA (docosahexaenoic acid), in a purified triglyceride form for maximum absorption. Women's Omega Benefits® is third-party tested for over 400 contaminants. Our unique molecular distillation process guarantees the removal of significantly more PCBs (known carcinogens) than non-molecularly distilled omega-3 products commonly found over the counter. Flex Omega w/Vitamin D3 - Maintains joint health. Flex Omega Benefits® is custom formulated with a high concentration of Omega-3s, EPA (eicosapentanoic acid) and DHA (docosahexaenoic acid), in a purified triglyceride form, along with Vitamin D3. Great for active lifestyles. Flex Omega Benefits® is third-party tested for over 400 contaminants. Our unique molecular distillation process guarantees the removal of significantly more PCBs (known carcinogens) than non-molecularly distilled omega-3 products commonly found over the counter. Omega Essentials Liquid w/ vitamin D3 - All-around health benefits. One teaspoon per day of Omega Liquid provides a 3:1 ratio of EPA (eicosapentaenoic acid) to DHA (docosahexaenoic acid) in its purified triglyceride form. This product has no gelatin or capsule so it provides direct absorption and easy digestion of the active Omega-3s. Omega Essentials High Potency Liquid is third-party tested for over 400 contaminants. Our unique molecular distillation process guarantees the removal of significantly more PCBs (known carcinogens) than non-molecularly distilled omega-3 products commonly found over the counter. Kavinace - Kavinace from Neuroscience is a calming supplement that also provides natural sleep support. It contains two powerful ingredients. They form a natural combo that may help your body control occasional stress, anxiety and irritability. It may also provide support for occasional hyperactivity and sleep issues.One of those powerful ingredients in Kavinace is Phenibut - a GABA derivative that easily crosses the blood/brain barrier. Phenibut helps control the neurotransmitter known as phenylethylamine.The second ingredient is Taurine. It may be able to help protect neurons from free radicals and toxins.